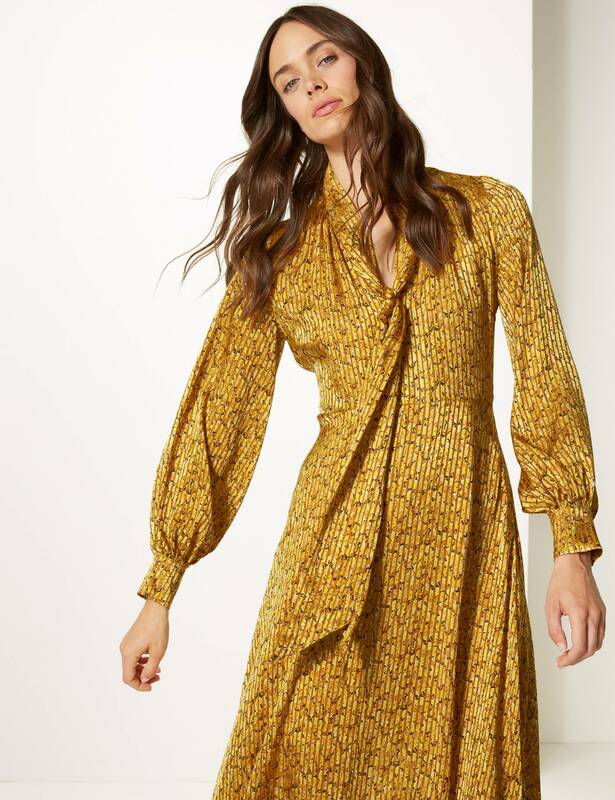 Marks & Spencer saw us through the long summer with all sorts of gorgeous dresses, and now they’re back with a standout piece that is driving fans wild. Though colder temperatures may have you reaching for subtler shades this season, there’s never been a better time to step out in rich jewel shades to warm things up – think of aubergine, emerald green and burned orange as your go-to hues for autumn. 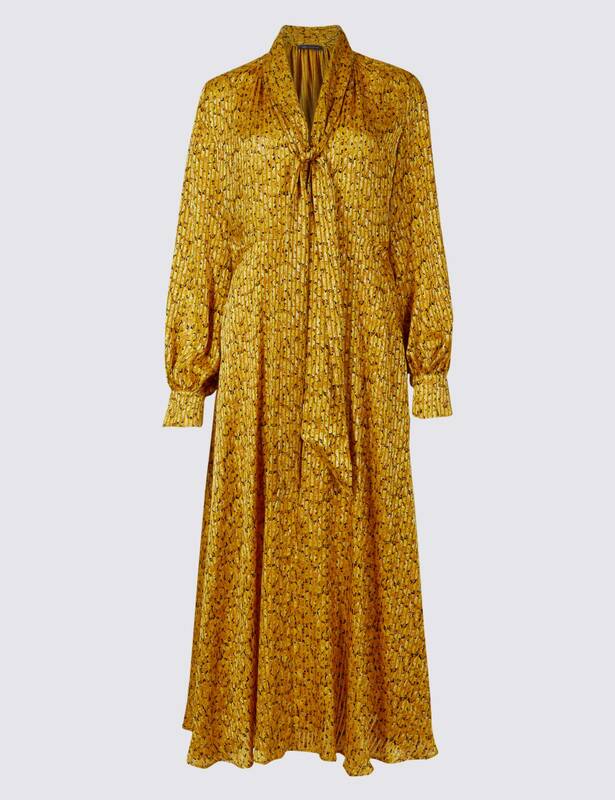 Or for those daring to go slightly brighter, look no further than this stunning golden dress from Marks & Spencer, that has had customers in a frenzy since it was unveiled back in June. The Animal Print Long Sleeve Skater Midi Dress, priced at £69, has been dubbed the ‘golden dress of dreams’, and features a delicate animal print that will win over even the most leopard print-averse shopper, plus long sleeves and a midi skirt that make this the ideal dress for autumn months. The cuffs and sleek neckline also make this a standout piece suitable for any occasion – formal or not. Customers went crazy after the dress finally became available earlier this week, with thousands taking to the company’s Instagram to share their excitement. And a fourth said, ‘that’s a beaut😍’. Though this dress would look fabulous alone, we love the styling as selected by the M&S team. Pair your dress with black boots and gold earrings like the model for an on-trend look this season. Don’t forget to add a chunky belt around the waist for added definition. Or, for those rarer warm days, you could accessorise with some smart sandals and sunglasses, for a more relaxed, but equally elegant look. The dress has been made available in a short and regularly length. It has been flying off the shelves, but there are still a few left in sizes 6-24 – particularly in the regular length. But don’t delay, as we anticipate this dress to sell out very very soon!